Advances in technology have made motor vehicles safer than ever, but they are not completely without risks. In fact, some types of vehicles are at an increased risk of rollover, or tipping on the side or roof. Many rollover accidents include vehicles spinning several times, and unfortunately these accidents have a much higher mortality rate. Because of the severity of these accidents, it’s incredibly important that manufacturers make cars that are not prone to rollovers. Large SUVs and trucks have become extremely popular in the past few decades. These vehicles are much more spacious than sedans, which continue to make them a popular choice for many people. However, if these vehicles are not manufactured properly, they have an increased risk of rollovers. 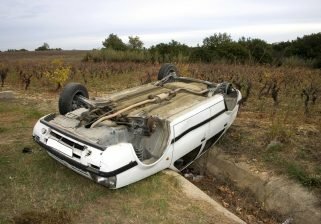 There are a number of causes of rollover accidents, but generally the risk increases with the height of the vehicle. As vehicles increase in height, the center of mass gets further from the ground, which makes them a little less stable. Additionally, other features that can increase the risk of a rollover include the narrowness of the vehicle’s axle tracks, the sensitivity of the steering wheel, and certain road conditions. There are two types of rollover accidents: tripped and untripped. Tripped accidents occur when an external object like another vehicle collides with the subject vehicle. The force of the accident causes the subject vehicle to flip. Untripped rollovers are caused by internal factors like the sensitivity of the steering wheel. Sensitive steering wheels can cause sharp turns and the force can cause the vehicle to lose control and turnover. Because of the risk of rollovers, all SUVs and trucks need to be structurally sound. Equipping these vehicles with roll bars can help keep the roof intact in a rollover. Without roll bars, the roofs can crush inward, causing severe injuries to the vehicle occupants. Manufacturers can design vehicles to be more resistant to rollovers, but many simply choose not to. At Sahadi Legal Group, we know how large auto manufacturers try to fight rollover claims. We have the experience necessary to take on these companies and get you and your family the compensation you deserve. Call one of our experienced rollover attorneys today for a free consultation.